Kerbal Space Program developer Squad has announced GTA 5 publisher Take-Two has acquired the IP. The studio announced the news on its blog, and assured players of Kerbal Space Program that despite the purchase, it’s business as usual at Squad. “We have very exciting news to share with the KSP community today: Take-Two Interactive has purchased Kerbal Space Program,” reads the announcement. “The important thing to know is that this big news doesn’t change much for the KSP community. “Squad and the current development team is still here and we’re hard at work on KSP and its future updates, but now we are fortunate enough to do so with the help of an experienced publisher like Take-Two, and we couldn’t be more excited and happy to see where our conjoint collaboration will take KSP forward. 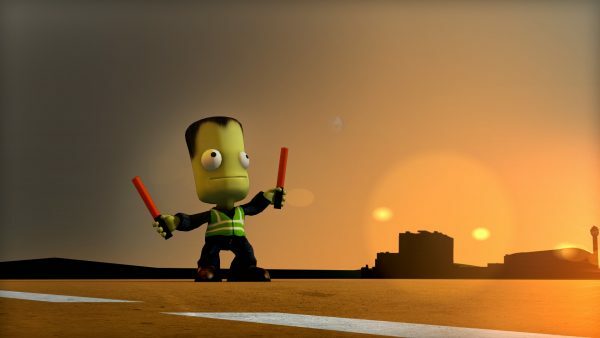 The first version of the sandbox space flight simulation game was released on the Kerbal Space Program storefront in 2011 before arriving on Steam through the Early Access Program in 2013. It left early access in 2015 for Linux, Mac and PC before making its way to PS4 and Xbox One in 2015. The studio is still working on the Kerbal Space Program: Making History Expansion, and will continue to keepplayers updated on its progress. Those who purchased the game through April 2013 will still be handed free DLC. Blitworks is still working alongside Squad on the on the updated version of the game for consoles, which will be available on the Xbox and PSN digital stores “when it is complete.” It will be a free update for anyone who already owns Kerbal Space Program on Xbox or PS4.